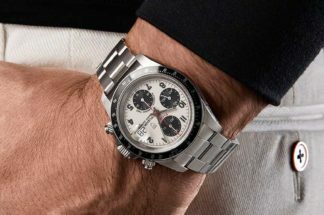 So smokin’ hot is Tudor that some journalists couldn’t keep still about the new Harrods exclusive. 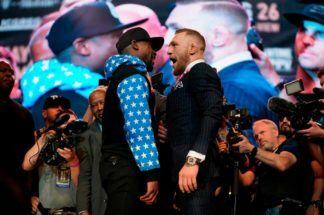 We at Revolution don’t break embargoes, but — as it’s out there — we may as well help to spread the word: This is going to be a sure-fire collector’s item and malingerers will miss out if they don’t act quickly. 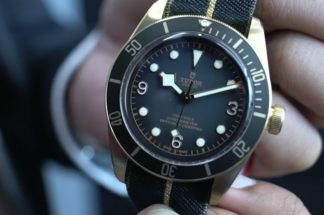 Tudor has prepared for London’s most famous department store a special edition Black Bay to be sold exclusively through Harrods’ Fine Watch Room. 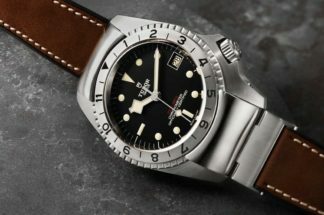 The Black Bay, of course, is the model that re-established the brand more than any other in its line-up, along the way earning kudos as one of the coolest diving watches money can buy. 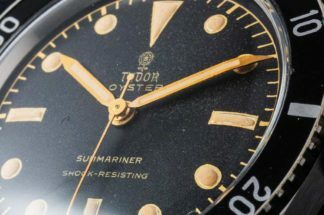 The Black Bay features the domed dial and crystal from the first Tudor diving watches, along with the prominent winding crown from the ref. 7924 of 1958, known to enthusiasts as the “Big Crown”. It also employs the characteristic snowflake hands first delivered to the French National Navy in the 1970s. Already the subject of numerous variants, including models with blue, burgundy and black bezels, a bronze version and other deviations from the norm, the Black Bay for Harrods offers unique features that pay homage to Harrods’ trademark green colour scheme. The bezel, the tip of the seconds hand and the waterproof depth rating “660ft/200m” on the dial are all present in the hue of Harrods green. For the brand’s devotees, the depth rating has been further modified to show “feet first” rather than metres to reflect the Britishness of Harrods. 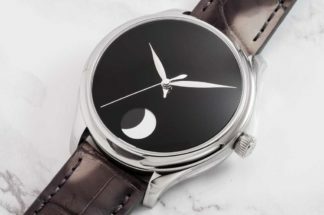 Tudor’s military past inspired the company to engrave caseback with its uniquely numbering in the military manner: with large Arabic numerals alongside the letter “H” from the Harrods logo. The Tudor Black Bay for Harrods comes fitted with a steel bracelet, recalling the brand’s riveted 1950s and 1960s bracelet, as well as a complimentary black fabric strap which is a signature feature of Tudor’s Heritage line. Price is £2,630, which will surely be inflated by collectors within a year to £3,000-plus.